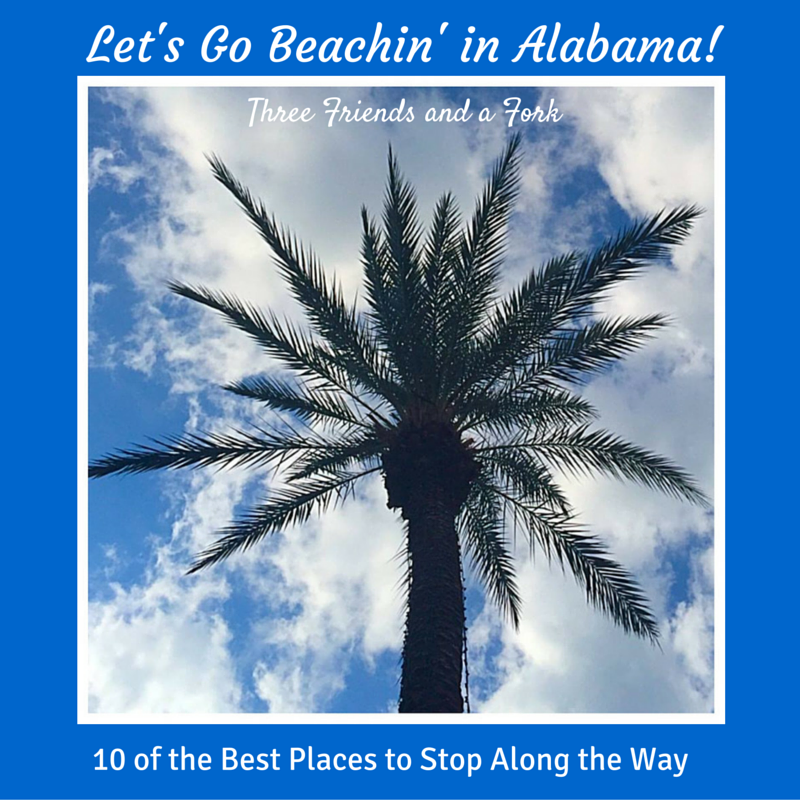 If you are headed to one of Alabama's beautiful beaches, chances are you will, at some point, find yourself south of Birmingham on I-65. To make your trip more interesting, you should travel like the locals. That means knowing the interesting stops you can make as you wend your way south. Don't worry! We are here to help. Here are 10 stops to make your trip to Alabama's coastline more fun. Choose one or a few! Just south of Birmingham, as I-65 crosses from Shelby County into Chilton County, start looking for the giant peach water tower in Clanton. That means you are entering peach territory and you need to get ready to make your first stop. There are several possibilities for picking up delicious goodies here and are all are worth a look. Your first chance to score some peaches is at Headley's Big Peach, located at exit 208 in the shadow of the big peach water tower. Other local fruits and vegetables are available in season. 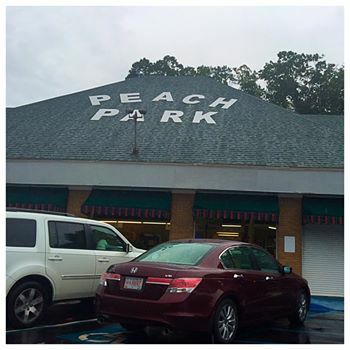 On down the highway at exit 205, you can double dip at two big peach markets. 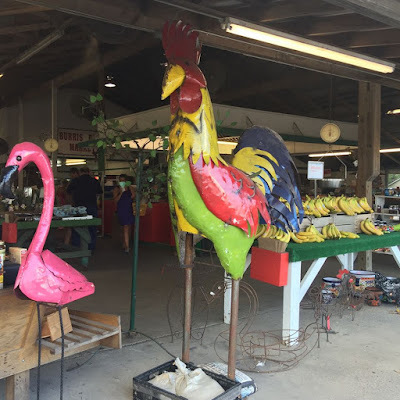 If you go west, you can visit Durbin Farms. 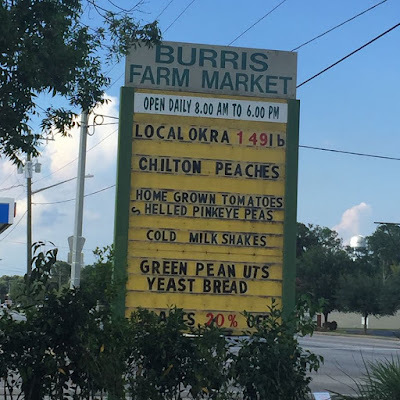 In addition to the local peaches and other home grown goodies, Durbin has a great little cafe where you can grab a sandwich, a salad or some homemade ice cream made with fresh cream and Durbin's own fruits. The salads and sandwiches are delicious, too. The Asian Poppyseed and Almond Chicken Salad and Greek Vegetarian sandwiches are my favorite, but they also have turkey, roast beef and ham options as well. 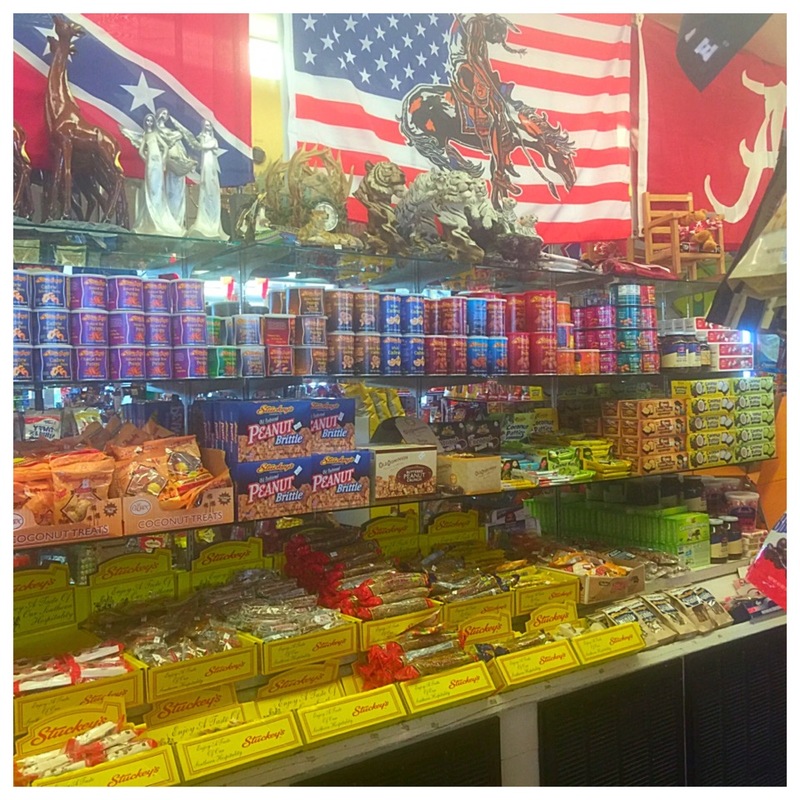 Additionally, you can shop for souvenirs to take home with you. Turning east will bring you to Peach Park. 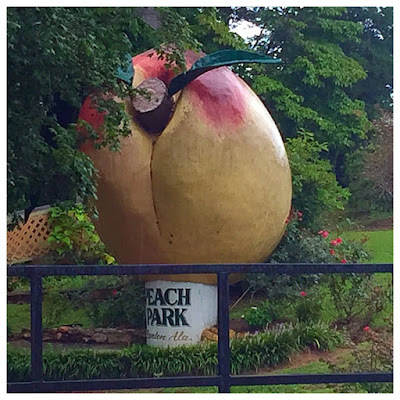 Undoubtedly the largest of the three peach stands. Peach Park has pit barbecue, homemade ice cream, and home baked pies, cakes and other sweets. There is a walking trail through Peach Park's gardens and a playground for the kiddos, as well as a gift shop. Peach Park is a great place to let the kids run off some steam. The big Bass Pro Shop Outdoor World at exit 179 in Prattville, is like Disney World for the outdoor enthusiast. Pick up some fishing gear or camping equipment to take with you to the beach. Be careful, though. You could easily spend hours in this huge store. 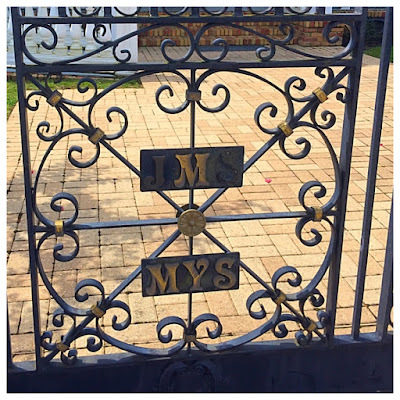 Montgomery is a trip in and of itself, but if you have time to kill or just want to add a stop to your trip, Montgomery is full of possibilities. As the capital of the state, the cradle of the Confederacy and the birthplace of civil rights, there is a lot of history in this city. You can see the capitol building, the governor's mansion, and other historic buildings, as well as Dexter Avenue Baptist Church where Martin Luther King, Jr. served as pastor. 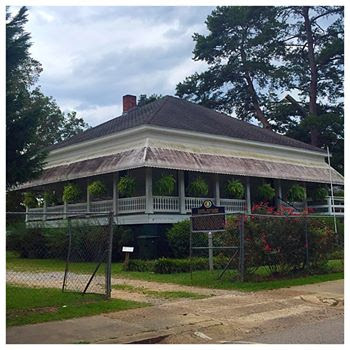 Take a stroll through Old Alabama Town to see the first White House of the Confederacy and get a taste of life in early Alabama. There are six Montgomery exits. 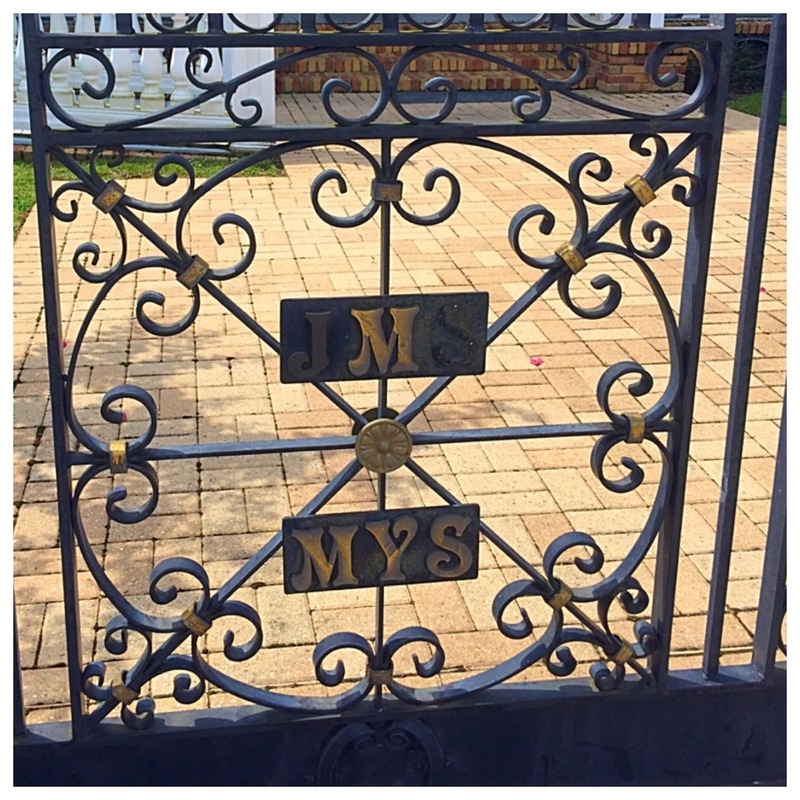 Take exit 172 for these historic sites. Stuckey's shops used to be all over the place, but after being bought out by Pet, Inc. in the 1970's, they dwindled down to just a handful. Now there is a Stuckey back at the helm and their numbers are again on the rise. 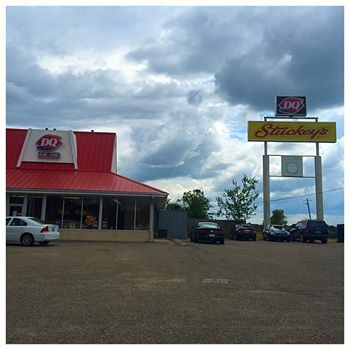 If you fondly remember Stuckeys, you're nostalgic for a little Americana or you just need gas, this might be the stop for you. Take the Hayneville exit 158. It's a glorified truck stop with a BP station and a Dairy Queen attached, so you can get gas, grab a snack and walk around a bit. It is the only Dairy Queen we've seen with a giant (we're talking Phantom of the Opera huge) chandelier to illuminate the dining room. Priester's is the place for pecans! 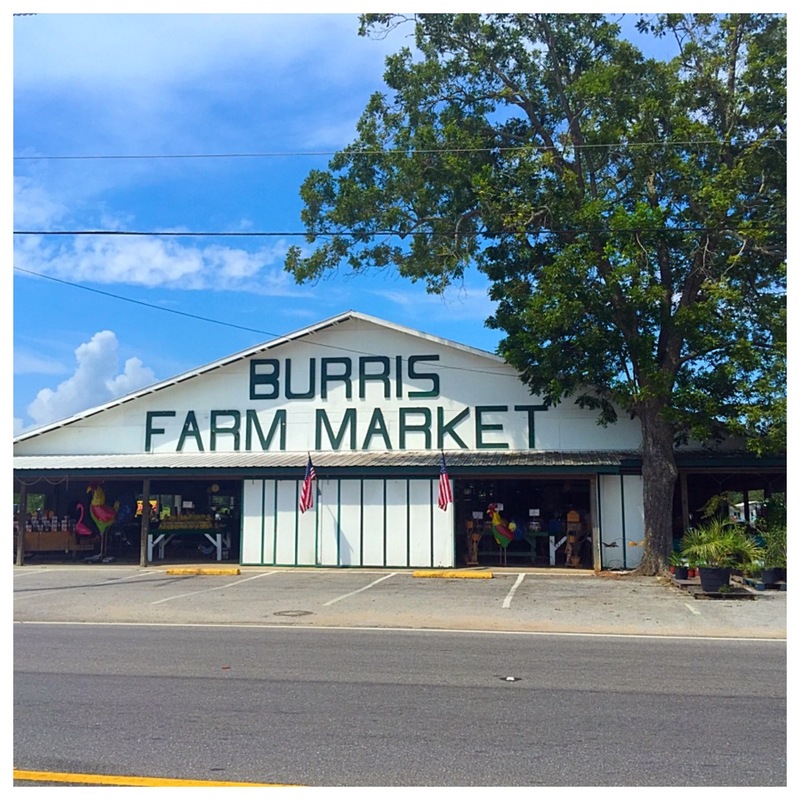 Take exit 142 to sample and buy pecans from raw and roasted to key lime and peach flavored and just about everything in between. You can also grab a bite to eat or shop for souvenirs. The little kids will love the horse swings and it is a great place to get out and stretch. Ready for a bite to eat? 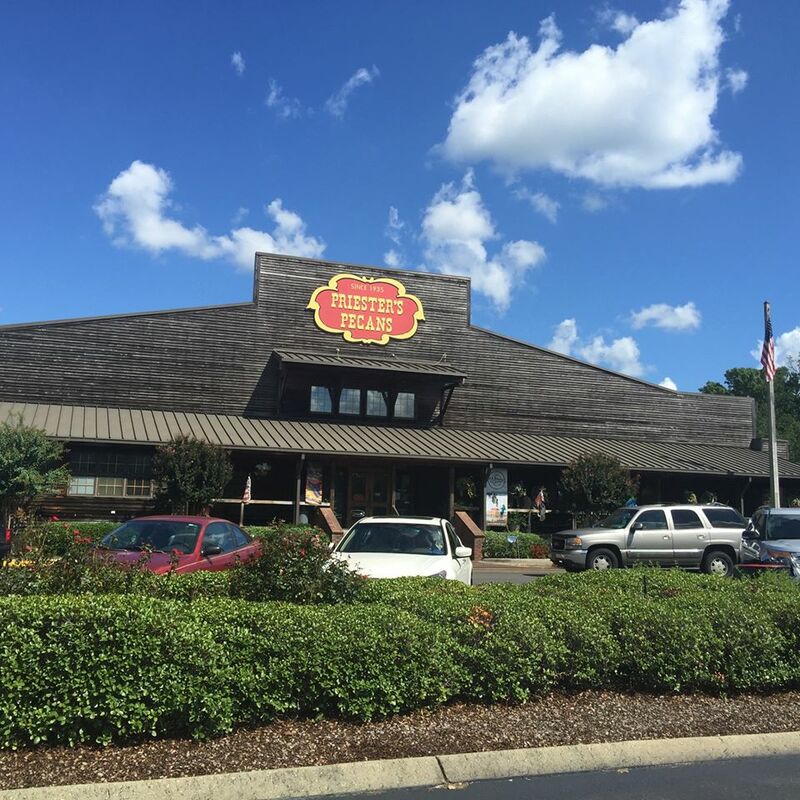 In Greenville, take exit 130 to Bates House of Turkey. At Bates, it is all about the gobbler. You can get turkey sandwiches, turkey plates, smoked turkey, barbecued turkey, roasted turkey, turkey salad, turkey wraps, turkey chili...you get the idea! The restaurant has lots of homestyle southern sides like sweet potato casserole, green beans and cornbread dressing, too. 7. Boyhood Home of Hank Williams Sr. 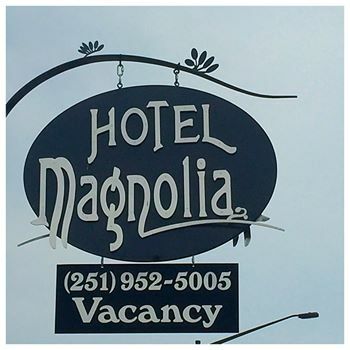 If you are a country music fan, this might just be the stop for you. Take exit 114 in Georgiana and the Boyhood Home of Hank Williams, Sr. is just a couple of blocks from the interstate. You can sit on the wide porch and sing Kaw-liga before hitting the road again. Once you get off I 65 and onto Hwy. 59 at exit 37, you are really on the home stretch to the beaches. 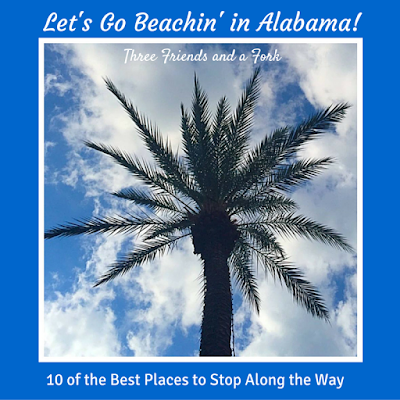 You will travel through the towns of Bay Minette, Stapleton, Loxley, Robertsdale, Summerdale, and Foley before you can dip your toes in the ocean. In Loxley, Burris Market is worth a mention. 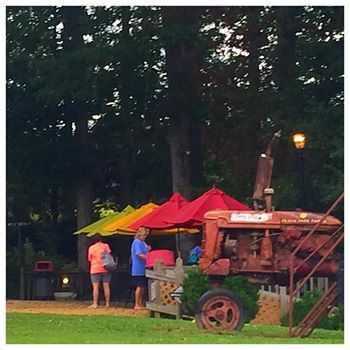 It is the last of the big farmer's markets and here you can get the produce you may have missed in Clanton. Once again, you can pick up sandwiches, ice cream, homemade breads and baked goods. 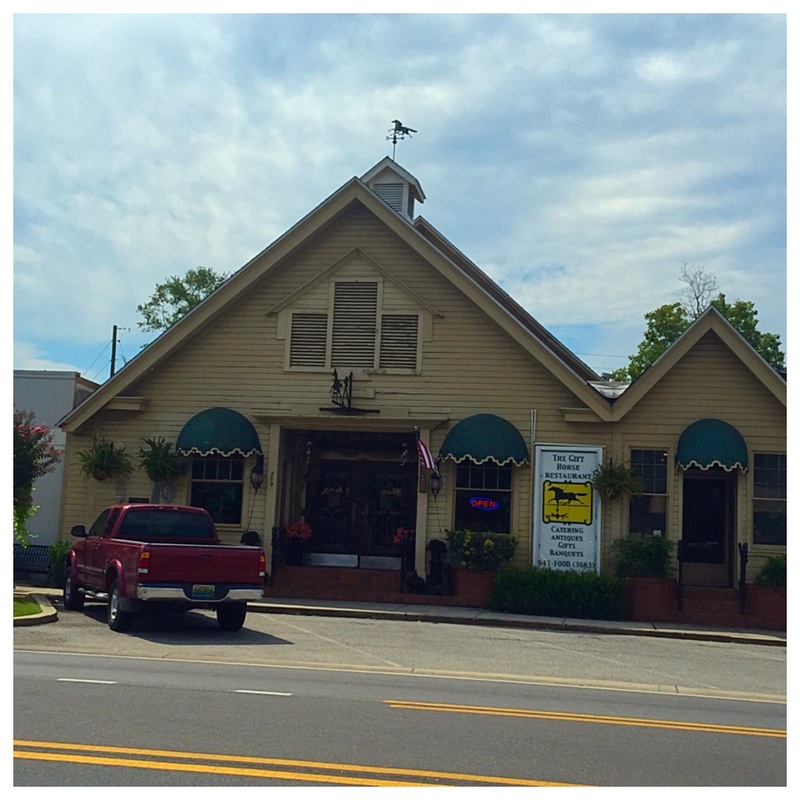 Historic Foley has lots of cute shops and restaurants as well as a big outlet center. If you have a wait before you can check into your condominium or hotel at the beach, Foley is a great little place to kill some time. Located in a building constructed in 1912, The Gift Horse Restaurant also houses an antique mall. The food is southern and the cheese and apple casserole are listed as one Alabama's 100 Dishes to Eat Before You Die. 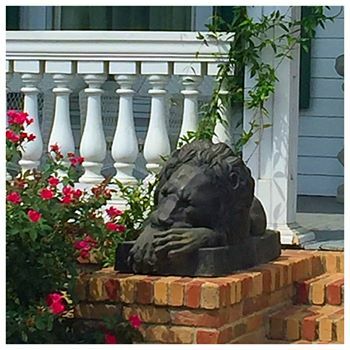 Check out the cornstalk fence and the sleeping lions at this historic hotel as you pass through Foley. 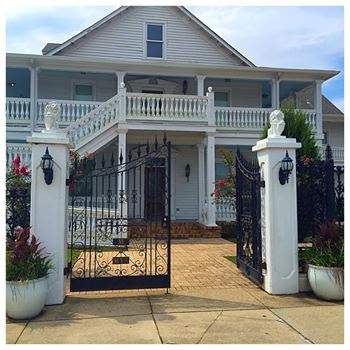 Built in 1908, by the town's namesake, John Foley, the Hotel Magnolia boasts wide front porches and oozes southern charm. 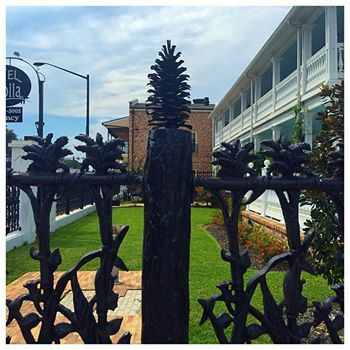 The fence, reminiscent of a similar one in New Orleans, has the initials of later owners, John Shook, the owner of Gulf Telephone, and his wife, Marjorie. 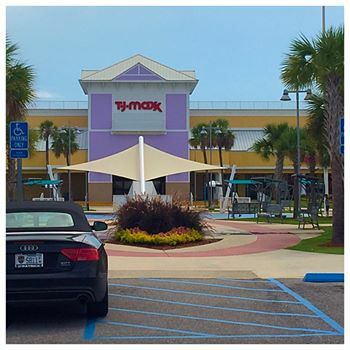 Foley's Tanger Outlet Shopping Center is a bargain lover's paradise. With 114 stores and 6 restaurants, you can easily spend a whole day shopping. 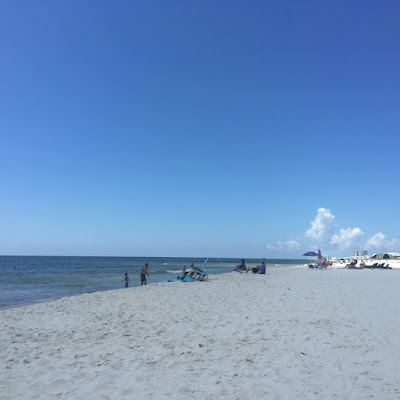 It is close enough to the beaches to revisit, so you may want to plan to come back on a cloudy day. 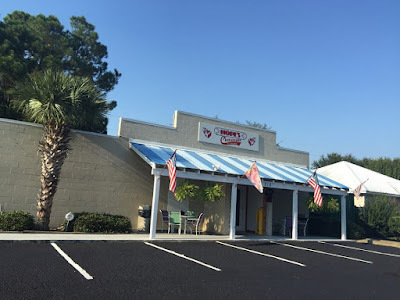 As you head toward your final destination, there are several stops you can make on Highway 59 before you hit Beach Boulevard, the main beach road through Alabama's coastal communities of Gulf Shores and Orange Beach. 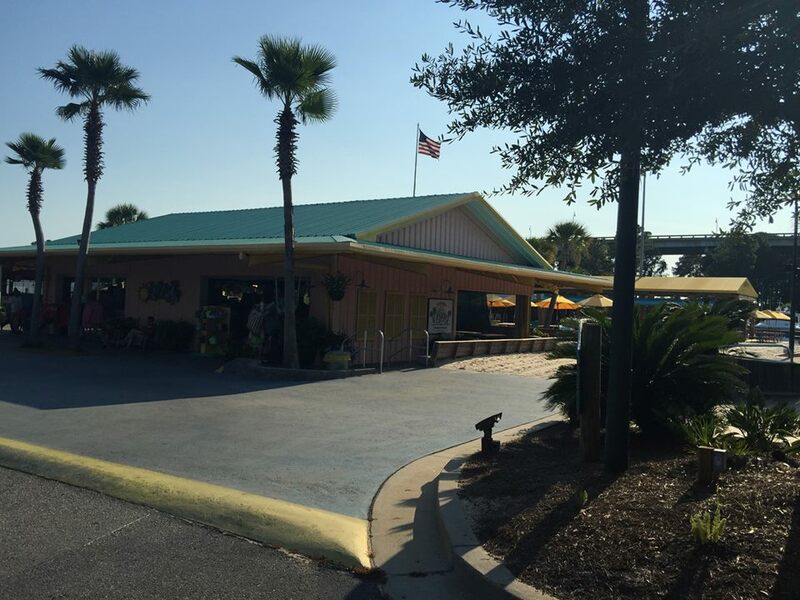 Here are a few notable places to grab a bite before you hit the sand. This is a great place for the kids and kids at heart. Lots of volleyball nets and sand play areas as well as souvenir shopping make Lulu's much more than just a restaurant. As the sister of Jimmy Buffet, Lucy Buffet knows how to put on a show. Wait times can be long, so try to visit in the middle of the afternoon when the crowds are thinner. 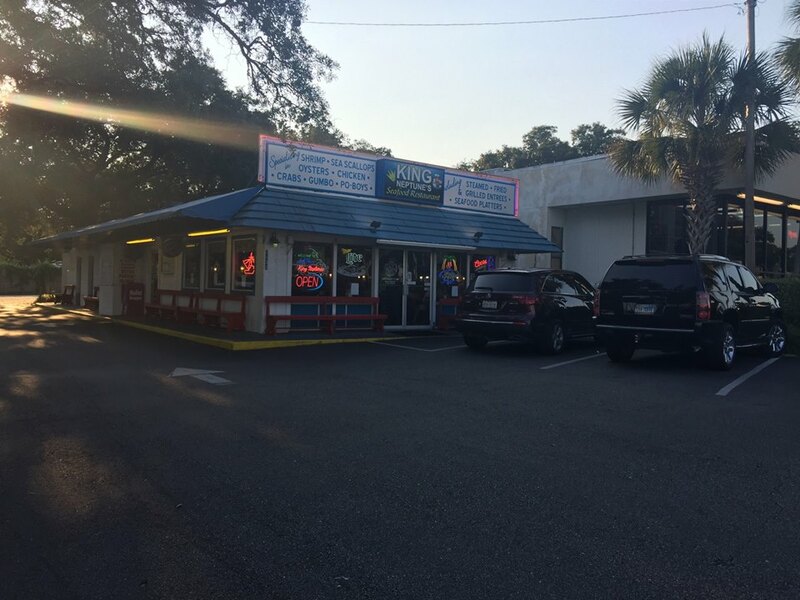 King Neptune's is a Gulf Shores original and a wonderful place to get some authentic Alabama seafood. Once a gas station, the building has been converted into one of the most iconic restaurants in the area. Nothing fancy, just plain good, fresh and award-winning food. The crab and corn bisque is a definite must and you can get some to take to your condo for later, too. Here again, the wait can be long, especially during the summer months, so plan accordingly. 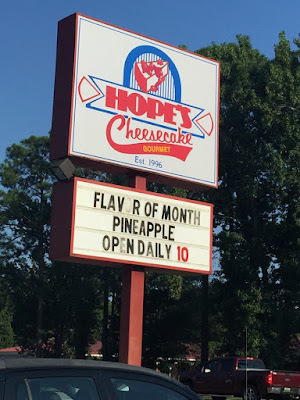 While you are thinking of things to take to the condo for a snack, stop by Hope's Cheesecake and pick up a slice or two or even a whole cheesecake. Choose from any of any of Hope's delicious flavors. Key lime pies are also available. That's it, now go relax! It's been quite a trip!